The Pearson family has been growing peaches and pecans for more than 100 years on the same land worked by grandparents of current managing partner Al Pearson. 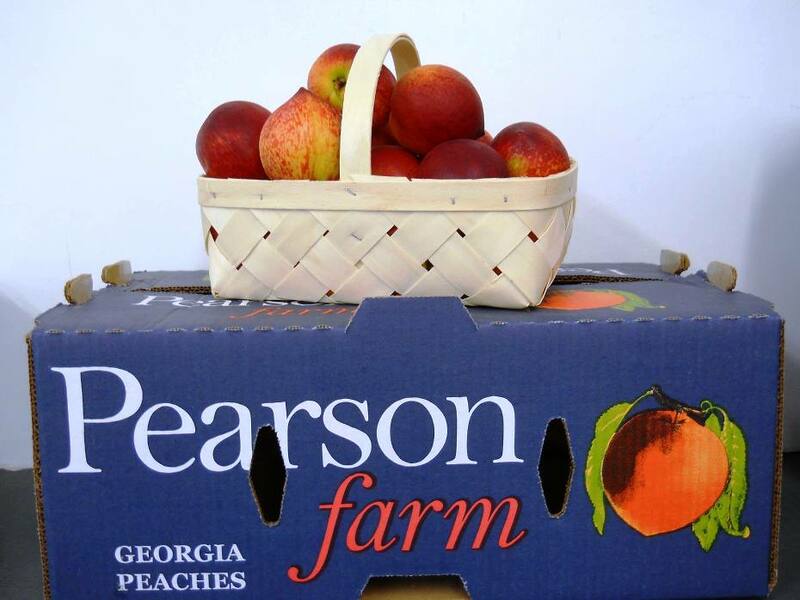 Pearson Farm is comprised of 1,400 acres of peaches and 2,300 acres of pecans. This family farm produces a bounty of fruit and nuts with the finest being used in Mary Pearson's mail order business, Pearson Farms. Five generations of Pearsons have farmed the red clay of Peach and Crawford Counties, growing peaches, pecans, asparagus, timber, cotton, corn and other crops. Moses Winlock Pearson and his wife Cornelia moved to this area a little more than 100 years ago and planted the first peach trees for the Pearson family. There were six sons and six daughters. One son, Al Pearson's grandfather John, started farming on his own, adding more land to the family holdings and planting more peaches. Eventually, Lawton, the youngest son of John and Rosa Lee Pearson, and his wife Laurie began to work with the family farm in Zenith. Under Lawton's leadership, the company continued to grow and prosper. The fourth generation started working in the packing shed and on the roadside selling peaches in the late 1950s and 1960s. Big 6 Farm has met the food safety standards and Good Agriculture Practices (GAP) guidelines set by the USDA and the FDA. Big 6 has also met the audit standards established under the Georgia GP Food Safety Programs. It is one of only three farms in Georgia to earn this designation and the only peach and pecan farm.